Tata Motors will launch the 5-seat Harrier SUV, a flagship product, in early 2019. By the end of that year, another SUV is expected to roll in – the H7X. The Tata H7X, which is yet to get a production name, will be the longer, larger sibling of the Harrier, and will seat seven adults. It’ll sit above the Harrier in terms of price and positioning, and will be Tata Motors’ most expensive SUV, ever. Here is a render that shows what the H7X could look like. Like the Tata Harrier, the H7X is expected to use the 2-litre Fiat Multijet turbocharged diesel engine, but with higher torque and power ratings. While the Harrier gets a 320 Nm-140 Bhp state of tune, the H7X is likely to get a 350 Nm-170 Bhp state of tune. Transmissions are expected to be the same though, with 6-speed manual and torque converter automatic gearbox options. The Tata H7X SUV is expected to get a front wheel drive layout as standard, with an all-wheel drive layout offered on specific trims. 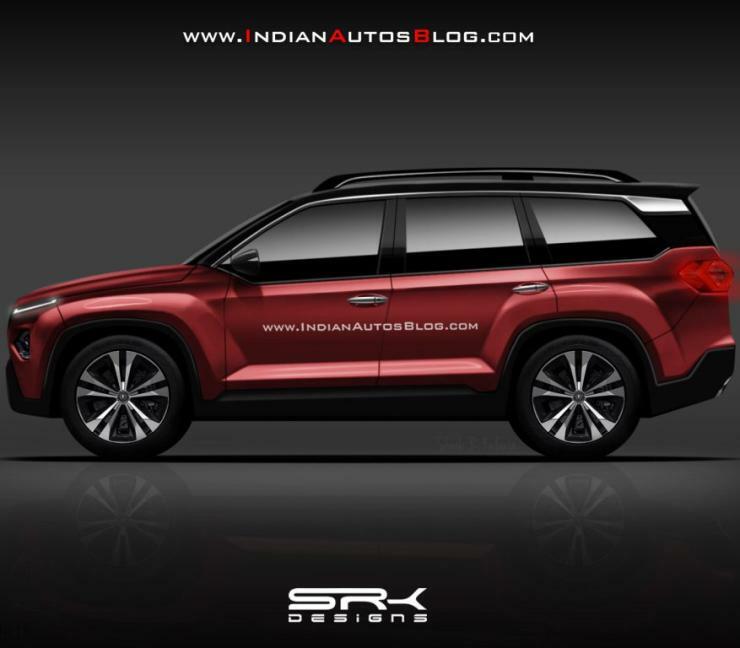 The luxury SUV will slot in well below Rs. 20 lakhs, and will use the same platform as the Harrier. The platform in question is called Omega by Tata Motors. This is the Indianised version of the Land Rover D8 platform. This platform will underpin a range of new SUVs and other utility vehicles from Tata Motors. Moving forward, the Tata H7X SUV is expected to share a significant amount of parts with the Harrier. Even styling is expected to be similar, save for the extra length and additional row of seats. As for features, both SUVs are likely to be evenly matched as well. Expect a range of safety features on both the Harrier and H7X. A good build is another thing both SUVs are expected to have.